Dealing with back pain is a debilitating and frustrating existence; our daily lives can be dominated by either the fear of pain or coping with flare-ups. The complex nature of backs and the unpredictability of treatment and management of back pain has led to a multitude of myths floating around, some of which were based from what the medical profession understood at the time. Thankfully, over the last decade, the understanding of backs and their relationship with injury and pain has improved immeasurably – yet unfortunately many of these myths persist. While the causes and contributing factors for back pain are vast and far too broad to make discussion relevant, what is of use is the research and studies into the factors that determine and influence the high rates of recurrence of back pain in sufferers. Crucially, this comes down to paths of treatment. A study by the Oregon Health and Science University published in the British Medical Journal (5) into prescribed opiate use for users suffering lower back pain. While the study acknowledged the analgesic effect on acute back pain, the study found no evidence of any benefit for those suffering from chronic back pain. In fact, the evidence points to pain medication giving little relief to patients and compared to alternative treatment, may actually exasperate the problem. Without placing the emphasis on patient led recovery through exercise and strength building, pain killers can often deceive the patient into not properly managing their pain and recovery, prolonging their symptoms and hugely increasing recurrence of the pain – the wrong treatment path can actually be the cause of your pain. It’s very easy to allow back pain to take over and dictate how you live your life. The debilitating pain makes clear planning and a positive outlook a hard place to get to. However, these three steps are the key to turning your life around and empowering you to live your life on your terms. Know that movement and exercise is the key to recovery and reducing flare-ups and recurrence of your pain. There’s a reason that physios and doctors keep repeating the phrase motion is lotion! Understand that purely treating your symptoms is a shortsighted approach that will cost you money and not solve your pain or give you any long-term solutions. 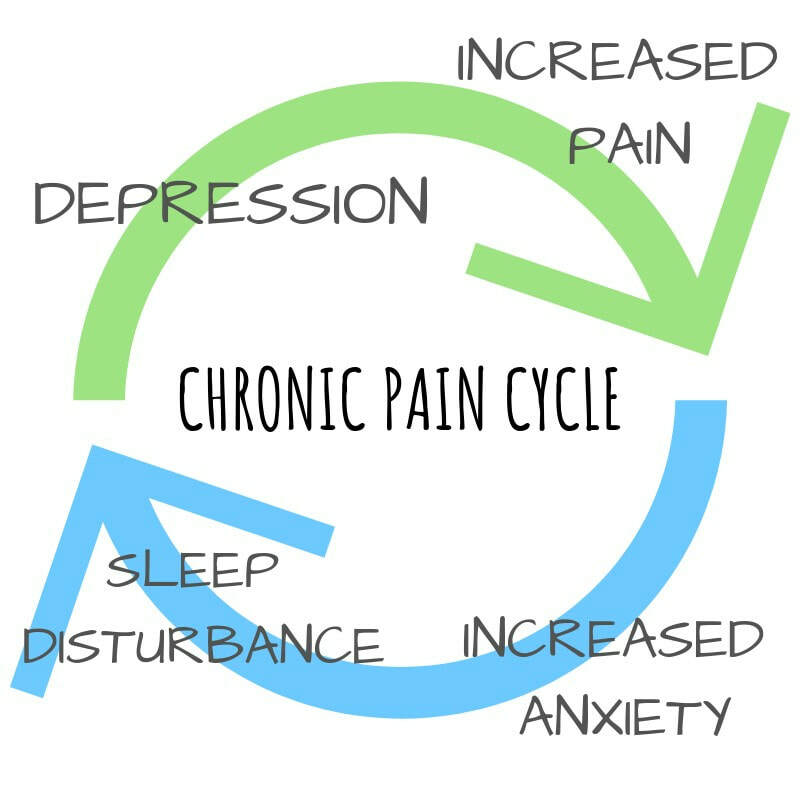 We now know that effective treatment involves exercise and building up strength, pain medication may or may not offer you temporary relief in what becomes a constant cycle of pain and flare-up. Get an effective plan of rehabilitation and growth from a physiotherapist to safely end your cycle of injury and build yourself an effective strengthening plan that works best for you. All the medical evidence shows that exercise and strengthening has the best short and long-term results for patients with both acute and chronic back pain. Here’s the thing, the more back strengthening you do, the more your back will cope with. The traditional thinking of treating back pain of rest and medication actually served to make patients far more susceptible to further injury. A carefully executed plan of exercise and strengthening will see you able to take part in the most rigorous of activities, even a high impact sport such as rugby. In fact, a study conducted by South Africa Rugby (6) on the impact of lower back pain on elite players found that of all treatment, exercise was by far the most effective and recommended that in order to combat recurrences of injuries, players should follow a physio led training programme of core stability and strength training. Try to do these stretches every few hours during a working day. One of my favourite thoracic mobility stretches is thread the needle. It's a really helpful exercise when you get neck stiffness and back stiffness to loosen up the middle area of your back. - Place your knees apart, hand on the mat and shoulders over the hands. - Take 1 hand and thread it through like a needle, then twist your spine around. - Placing the upper arm onto the mat, lowering your head, relaxing and breathing in, you can use the other arm on the mat to push through and try to wind the thoracic section even further. - Breathe in and out and then push yourself back up and repeat on the other side. ​Perform this exercise a few times on each side as long as it feels good and then you will feel pretty stretchy. ​Stretching has long played an important role in the world of sport and fitness, with many athletes stretching religiously before and after exercise in hopes of preventing injuries. Lately, this practice has been called into question with many people wondering if stretching really makes a difference to athletic performance. The answer, like most things, is not black and white, as we explore a little in this article. Stretching is a type of movement that increases flexibility by lengthening muscle fibres to the end of their range. Stretching before and after exercise has been thought to reduce the risk of injury, improve athletic performance and reduce muscle soreness after exercise. The two most common types of stretching are static and dynamic stretching. Static stretching is when you lengthen your muscle and then hold that position for a period of time. One thing that is undeniable is that stretching feels great, with many people feeling more relaxed and reporting a rush of endorphins after a good stretching session. It is also difficult to test the long-term effects of stretching specific muscles showing abnormal tightness. A long-term static stretching routine will improve your overall flexibility, and this is thought to help prevent injuries, although the evidence is inconclusive. If you’re an athlete, the decision to stretch or not can be a personal one. A warm-up prior to intense exercise that includes some form of dynamic stretching is generally recommended for reducing injury risk, but of course is no guarantee. 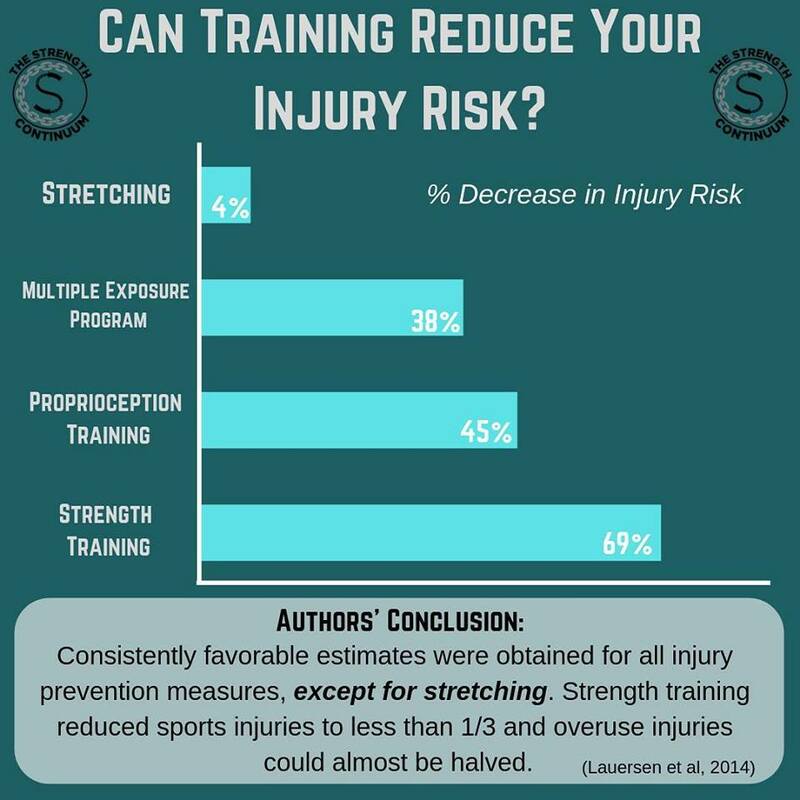 Strength and balance training may have a far greater impact on reducing injuries in the long term. ​So today I’m going to explain to you what belly separation is, or you may have heard of it as diastasis recti or diastasis. This referring to your abdominal muscle which start right up here in your sternum, in between your ribs and all the way down to your pubic bone. So, this goes right down the front of our body and during pregnancy these muscles have to stretch quite a bit to make room for a growing baby. So, they elongate this long way so that the belly can move outwards and sometimes towards the end of pregnancy, the skin or the body tries to create more space and the muscles start to move more outwards apart from each other. And this is what the belly separation is referring to. So that’s a natural part of growing a human and sometimes they all come back together naturally post natal, however some people struggle for whatever reason to get those muscles to come back together. Now you don’t always know that you have it. Its not always picked up at GP check-ups so we do usually advise you seek a women’s health physio’s advice before returning to sport just to check you’re doing the right thing to help support your core and work those muscles correctly. Let us know if you have any questions. How do I workout my Pectoral Muscles? ​Targeting your pectoral muscles is important if you are a desk worker or sit a lot generally as they will tend to shorten and become tight. We have two pec muscles that attach from the sternum and front ribs to the top of the arm or humerus. To stretch the pectoral muscles, stand by the side of a wall or doorway and have your arm positioned at about 90 degrees. Then take a small step and lean forward. Hold that pressure and turn to the opposite side until you feel the stretch across your front chest. To stretch in lying, first lie on your side with your top leg bent and bottom leg straight. Lift your arm up to the sky and then twist backwards and allow your arm to come close to the floor. Keep your elbow bent in this position and hold the stretch for 30 seconds. ​You started moving differently after the injury. ​You have lost muscle strength since the injury. ​While a certain amount of rest following an injury is always helpful, if we stop moving altogether, our muscles can lose strength. This can mean that our posture changes, we fatigue easier during our usual activities and that we are more susceptible to further injury. Less movement also means we actually focus on the pain more when it does happen. Physiotherapists are able to advise you on the right types and amounts of excercise for you in the period following your injury. ​The pain has affected your lifestyle. ​When pain affects your ability to sleep, work and even concentrate, it’s not surprising that this can have a negative affect on your overall wellbeing and mental health. This can create a negative cycle of anxitey and depression that perpetuates and increases the experience of pain. If your pain is really getting you down, speaking to a mental health professional can actually be a valuable part of your physical recovery. What are the symptoms of an Achilles tear? ​Treatment for Achilles tendon tear will depend on the patient’s age, how severe the injury is and the patient’s activity level. For young people especially athletes, they opt to have surgery while older people choose conservative treatments including physiotherapy. While there are many ligaments surrounding and supporting the ankle, this ligament is the most vulnerable as it stops the ankle from rolling inwards, which is the way that most ankles are injured. Athletes who jump while moving in different directions, such as basketball players, are the most prone to this injury as they often land on their foot when it is not completely flat, twisting it and injuring the ligaments. ​What are the signs and symptoms? ​Most people won’t have any problem diagnosing that they have a sprained ankle. The symptoms are pain, swelling and tenderness over the area of damage, usually the outside of the ankle. Depending on the severity of the injury, there many be bruising, reduced range of movement, instability and pain with weight bearing. In more severe injuries there may even be a loss of function, where you are unable to walk on the ankle and numbness and/or a feeling of coldness in the foot. Twisted ankles can also cause a fracture of the ankle, not just ligament damage and many times a bad sprain and a fracture cannot be told apart without proper medical assessment and an X-ray. Your physiotherapist is able to identify if your sprain is severe enough to need further investigation to rule out a fracture. They will also classify the severity of the sprain, providing you with a clear course of treatment. There are many factors that can lead someone to be more prone to fractures, including general hyper flexibility, unsupportive footwear and anatomical structure, however by far the most common reason for an ankle sprain is the existence of a previous sprain without complete rehabilitation. As well as helping you reduce and recover from the pain and swelling of the injury in the early days. Your physiotherapist is trained to identify which issues are likely to affect you in the future and assist you with a personalized rehabilitation program to ensure your ankle is as strong and stable as possible to prevent future injuries. Here are some of our favourite ankle exercises to do on a bosu ball. All you’re going to need for this exercise is a bosu ball. Preferably practice this exercise without shoes that way it challenges your muscles a bit more. Place 1 leg on the bosu ball and try to balance that for as long as you can. Once this gets a little bit easy for you, you can start to make it a bit more challenging by moving the opposite leg in different directions, sideways or even across.